Join Socks in his secret world, where imagination rules and the everyday becomes extraordinary. While most people think Socks is just an ordinary dog, through a child's eyes he becomes an enchanted character of many disguises. 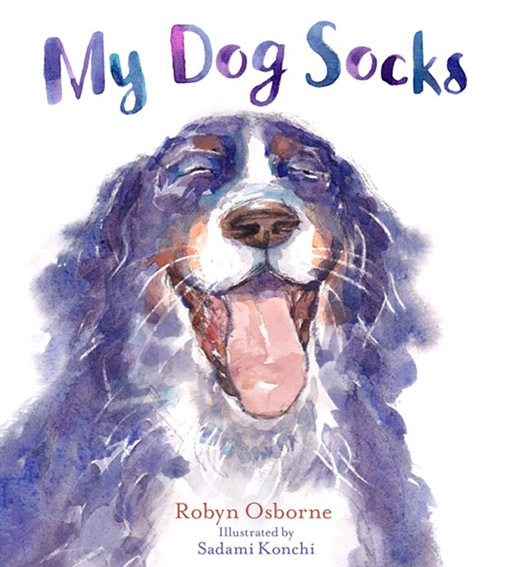 With its beautiful illustrations and use of alliteration, metaphor, rhyme and rhythm, My Dog Socks is perfect to share with children, and is a great text for early childhood settings and schools. What a lovely angle - congrats again Robyn!